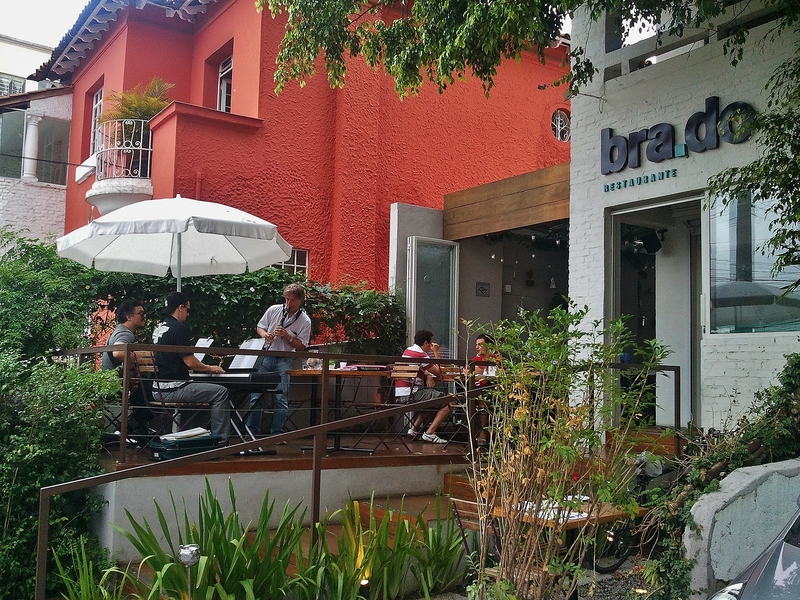 Brado, a newly opened restaurant in Pinheiros in the west of Sao Paulo, is worth a second look and listen. 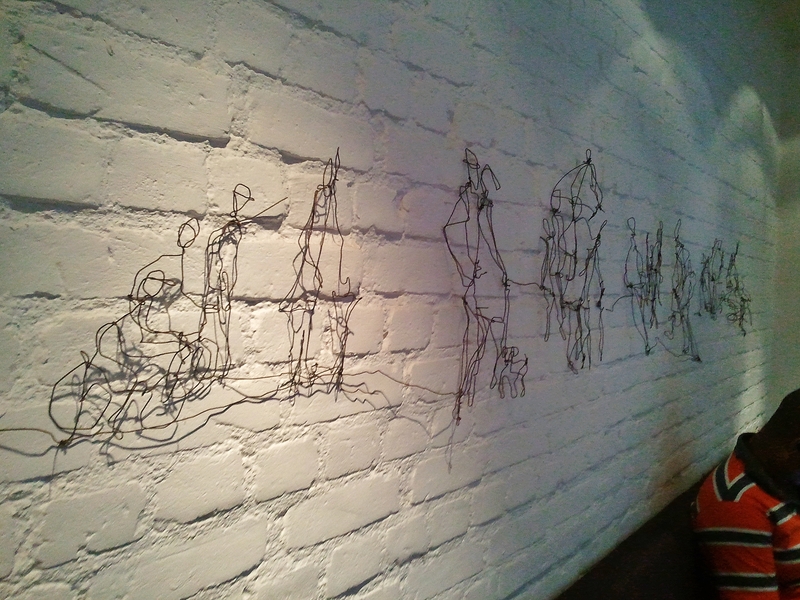 A free-form menu boasts a range of Italian and Brazilian food – the asparagus risotto was good. 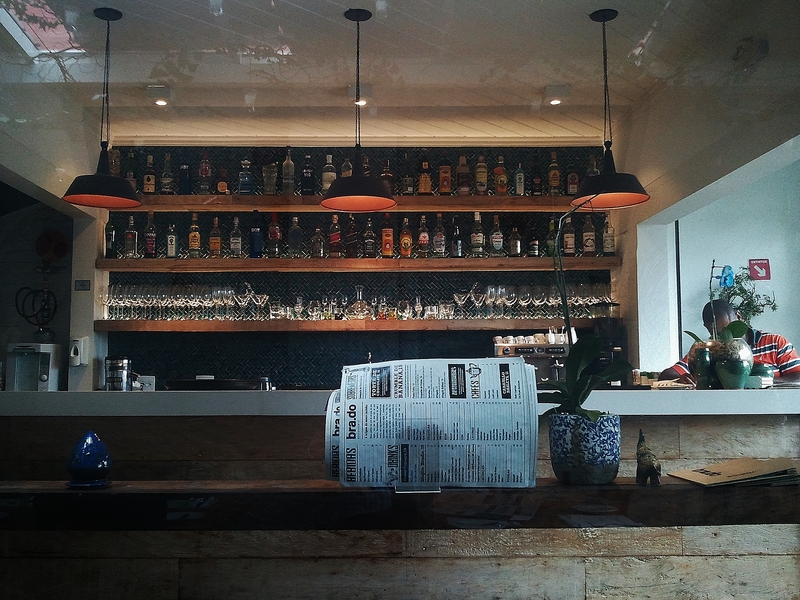 The bar is stylish without trying too hard. A tasteful interior is complemented by the quiet walled garden at the back, complete with banana tree. At the front, timber decking extends almost to the footpath. A manobrista is on hand to spirit your car away to nearby parking. 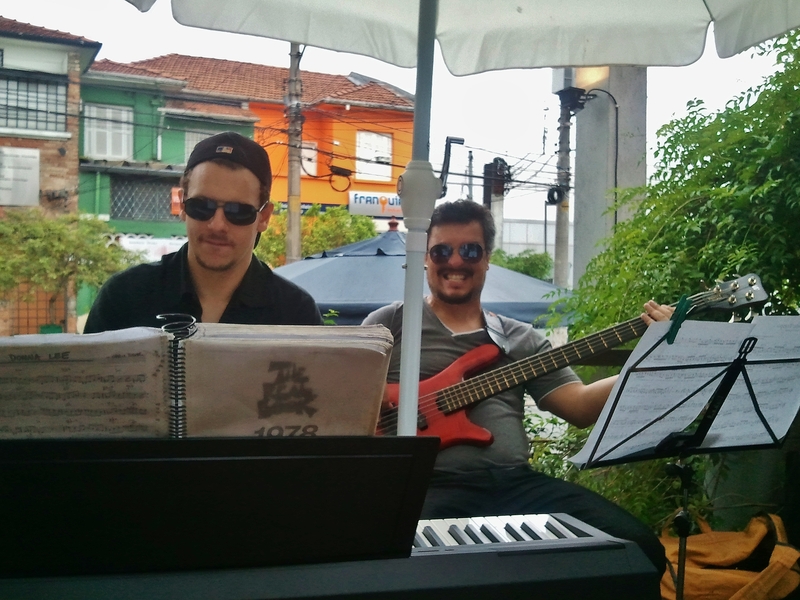 On Saturday, the passing traffic wound its windows down to hear choro and Brazilian classics and jazz standards played with elan by a trio of electric bass, keyboard and woodwind. 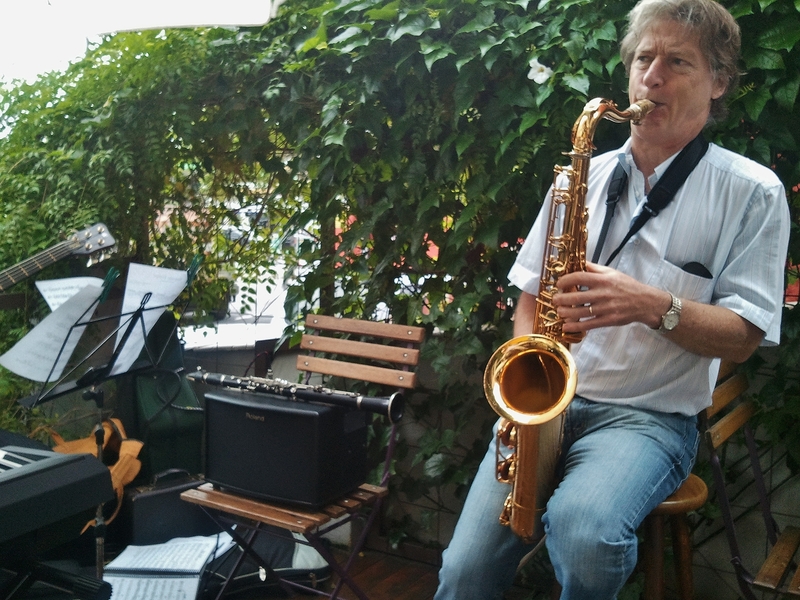 And it wasn’t only me who found the music to their taste – as well as appreciative honks and thumbs-up, I saw one taxi literally go by, reverse and stop out front for three minutes during a lull in the traffic to allow both driver and fare to appreciate the repertoire. So much nicer than traffic noise, the music made it a pleasant place to catch the breeze. 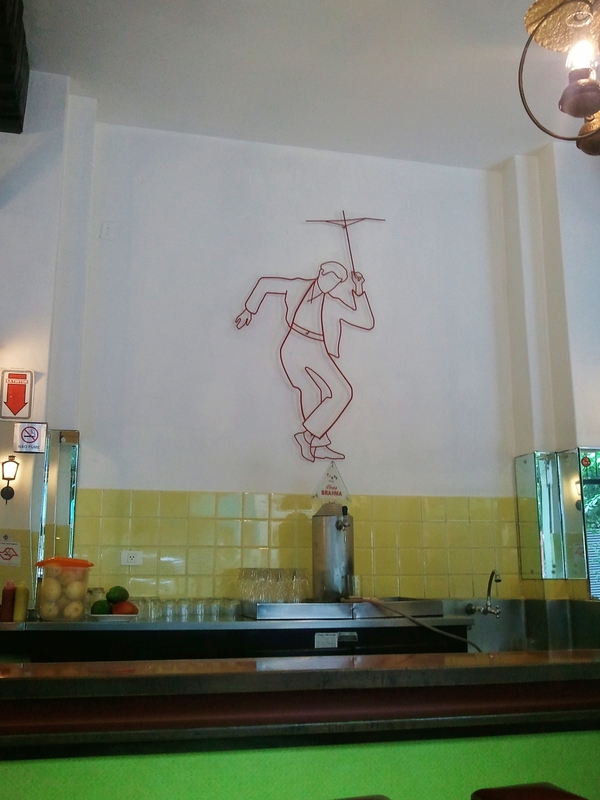 And with good coffee, prompt service, and panna cotta com marmalada de pêra to look forward to, it’s a tempting alternative to the Saturday feijoada.